Vintage cigarette advert drawn by Gluyas Williams the American cartoonist b. San Francisco1888 - d. Newton, Massachusetts 1982. The advert is for Gold Flake Cigarettes. 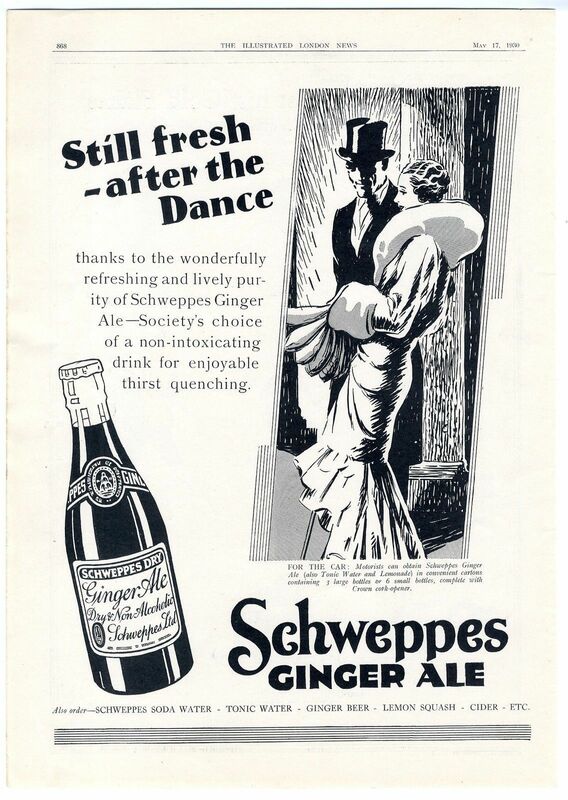 On the reverse is an advert for Schweppes Ginger Ale. 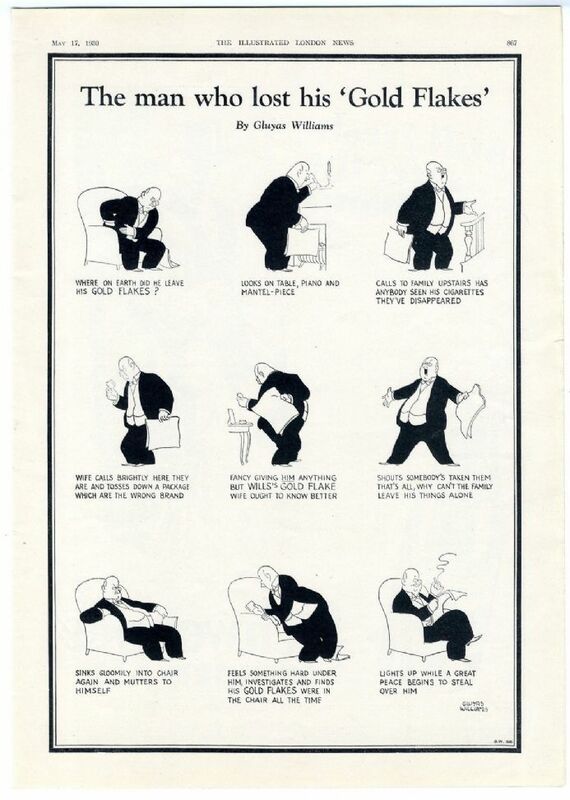 Provenance: Illustrated London News Year: 1930. A newspaper founded by Herbert Ingram, with the first edition appearing on 14 May 1842. The page is dated. The full page measures overall 375x264 mm (14.75x10.25 ") approx. incl. borders and is suitable for framing. It is printed on both sides. There is a little age yellowing; please check the picture(s) for condition. This item will be packaged in a tube; sent RM Small Parcels.